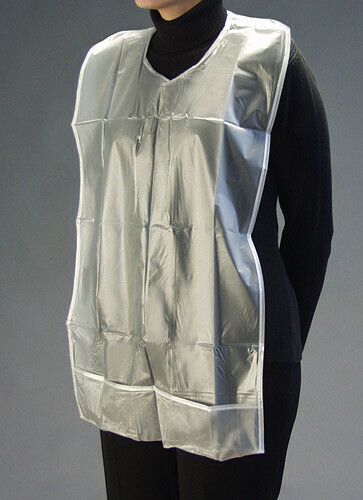 Re-useable clear vinyl adult bib with catch pocket wipes clean in minutes and is ready for re-use without laundering. Includes Bottom cuff to catch any food or drink that is dropped or spilled. Available by the each (1 unit) or per Dozen (12 units) with a 15% bulk ordering discount. Choose option in drop down menu below.